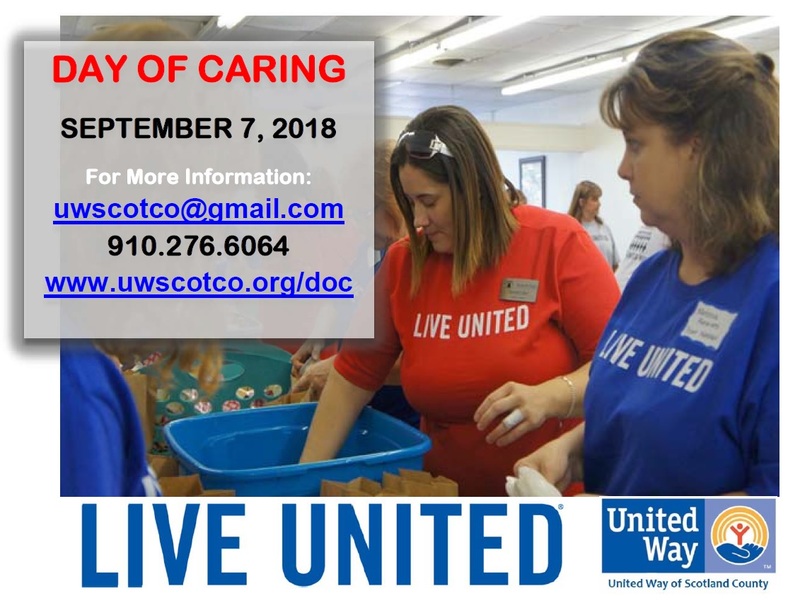 United Way's Day of Caring is the largest community service day in Scotland County! We match non-profit agencies with volunteer teams that help advance their mission while fostering community engagement. Day of Caring also serves as a catalyst for year-round volunteer engagement as teams see first hand the impact they can make in one day when they build partnerships within our community.